Everywhere you look today there seems to be some type of specialty restaurant nearby. This is great for you as it gives you a lot of choices when you want to go out and grab something to eat, but there are only so many places you can go for Asian or Mexican cuisine, for pizza or a burger, before you get tired of eating the same old thing. What you want is something different, that gives you the opportunity to enjoy specialty foods unlike what you can find in other places. When you want to find a quality sausage restaurant in Los Angeles today, the only place for you to turn to is here at Link-n-Hops. 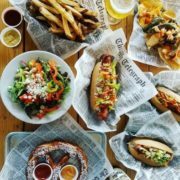 At Link-n-Hops, we are a specialty gourmet sausage eatery where you can find sausage selections unlike anything you will find in the area. We offer sausages from traditional fare like Italian sausages, Polish sausages, bratwurst, and knockwurst, but we also offer unique sausage blends that you will love. You can come in and try lamb sausage, buffalo sausage, wild boar, rattlesnake, and duck. We also offer great vegan options, making use of vegetables and tofu to create amazing flavors. 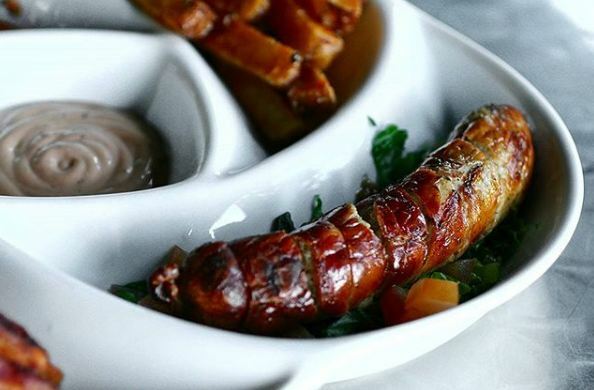 At our sausage restaurant in Los Angeles, when you choose from our sausage menu, you do not want to forget about our toppings and sauces for your sausages. We offer a little bit of everything for everyone so you can get toppings like sauerkraut, diced onions or sautéed onions, or go for something spicier like jalapenos or spicy pickles. We have eight dipping sauces you can choose from that are great for your sausages or our fries so that you can get extra flavor with each bite. The next time you want something different to eat, make sure to check us out at Link-n-Hops, a specialty sausage restaurant in Los Angeles. You can stop at our location in Atwater Village or our new spot in Sunland-Tujunga to get your meal. Make sure to check out our website so you can see our menus, learn about our happy hour specials and find out our location hours so you know just when you can come by. If you want to give us a call, our phone numbers are, (323) 426-9049 for our location in Atwater Village and (818) 293-3316 for our location in Sunland-Tujunga. Call us now! Like many other people, you do not keep the nine-to-five schedule that you see at many other offices. Your typical workday takes you well beyond five, and that may not leave you with many great options when it comes to finding a place to go for dinner or a spot where you can get a good drink and relax. 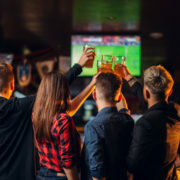 If you are looking for a place you can go to enjoy a late night happy hour in Los Angeles, here at Link-n-Hops we have the perfect solution to your weeknight, late-night meals, and drinks. Our location Sunland-Tujunga offer fantastic late-night menu options that you will not find at other restaurants. You want to forget about stopping at another fast food place for an unsatisfying meal and get something that tastes great, is filling, and is at a great price. We offer a gourmet sausage menu unlike what you will find anywhere else so that you can choose traditional sausages like bratwurst, Polish sausage, or Italian sausage, or you can get adventurous options using duck, wild boar, lamb, or rattlesnake. We have great topping options and fries to complete your meal and give you something special for the night. Here at Link-n-Hops, we offer a late night happy hour in Los Angeles like it should be for people like you. You can come to our location for our specials Monday through Thursday from 10 PM to 11:30 PM. You can get select sausages for just six dollars, large fries for four dollars, and take advantage of our beer and wine specials. We offer twenty-four taps of craft beer from around the country, including local craft beers, so you can always find something you will enjoy. When you need a great late-night meal at a great price, check out the late night happy hour in Los Angeles we offer here at Link-n-Hops. 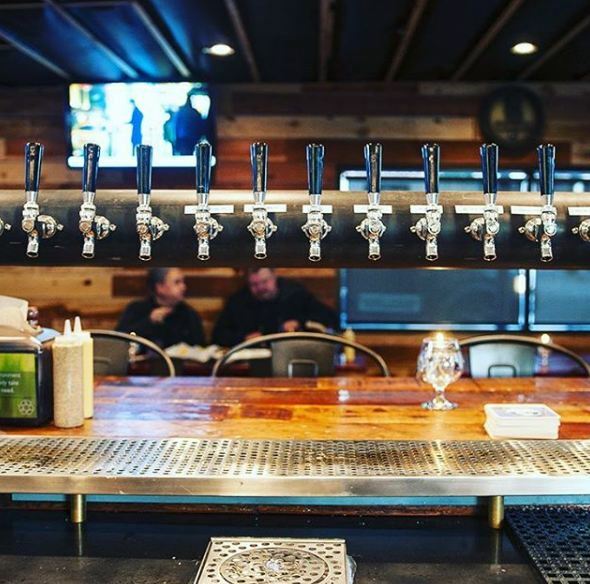 You can see our menu and beer selections right here on our website so you can think about just what you will have when you come to our location. If you have any questions about our menu or location, give us a call at (818) 293-3316. You can also send us a message using our contact form. Just fill it with your details and we will get back to you. We can’t wait to see you for happy hour! The beer scene around the world has exploded in ways that many people never even considered. There are thousands of concoctions available today, and the craft beer industry is more active than it has ever been before. This activity gives you some fantastic options when you want a beer so that you can try flavors and brews that appeal to your senses and tastes, The use of different hops in beer making can create fantastic results with beer, and you can get some amazing beers that make use of Oktoberfest hops that you will fall in love at an amazing sports bar in Los Feliz. Typically, the beers that you find offered for Oktoberfest are going to make use of hops from Germany. The Bohemian or Noble German variety are among the most used for Oktoberfest beers, with hops like Tettnager, Hallertauer, or Saaz among the most popular selections that you will find. There are also some American hops that are used in Oktoberfest beers to help create the bitterness that is ideal for beers in this style. 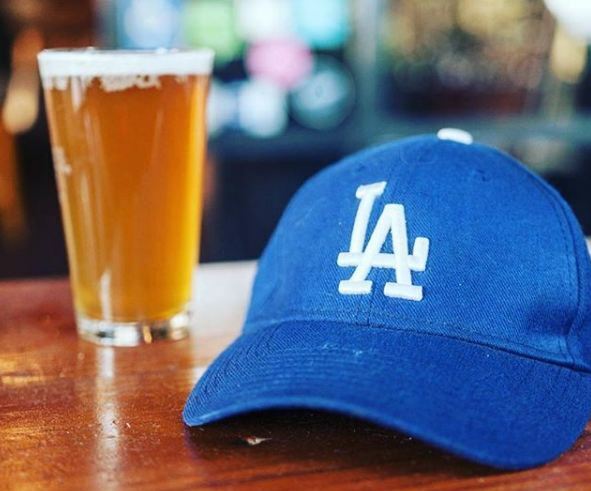 Our sports bar in Los Feliz offers the best choices and flavors. Here at Link-n-Hops, we can give you the beers that make use of Oktoberfest hops in perfect combination with our unique sausage menu so that you can have your Oktoberfest meal without having to worry about getting to Munich. We have a specialty sausage menu so that you can choose a sandwich or sausage platter perfect for your needs. You can then choose from one of the fantastic twenty-four craft beers we have on tap so that you can create Oktoberfest for yourself right at our restaurant. 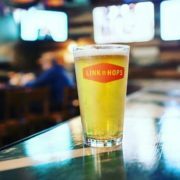 You can enjoy beers with Oktoberfest hops, great sausage meals, and a fun and friendly atmosphere whenever you come to us at Link-n-Hops. You can visit our sports bar in Los Feliz or in Sunland-Tujunga and be sure to check out our menus here online so you know just what you can order. We also have our beer menus here on our website, but make sure to come in so you can see our current tap list and get the beer that gives you the taste and flavor you want. You can contact us at (323) 426-9049 (our location in Atwater Village) or (818) 293-3316 (our location in Sunland-Tujunga) if you have any questions or enquiries. A member of our staff will be happy to assist.